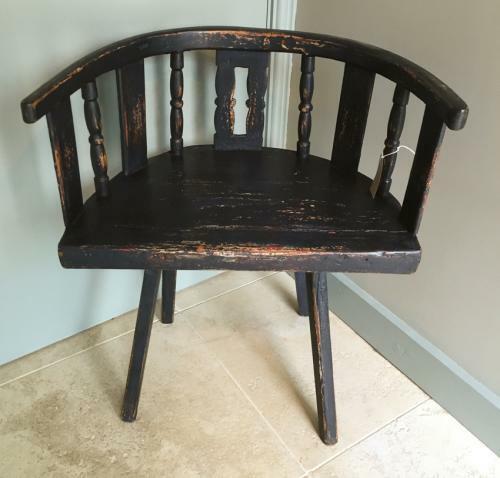 Attractive Primitive Country Chair, probably early 1800s. Dark Blue paint with evidence of lots of earlier colours wearing through (cream, red and Ochre). Hooped back rail supported by turned spindles and slat back. Stick legs. Overall condition good and sturdy some old repair. Height of seat is 40cm. Would look very nice in small cottage or beamed bedroom etc.